In this article we will address why and why will benefit from reclamation of insulation liquids. Despite the fact that thousand of articles have been written on processing of industrial materials, and, moreover, practical steps are taken in this direction by companies all over the world, the problem remains. Industrial liquids, including dielectric oil, are integral to production processes, be it energy, machine building or food production industry and, to a lesser degree, to households. In fact, it relates to almost all industries. A simple example: a car or a bus, which transports us from place to place, cannot move without oil. Oil has a life time, and this time is finite. Similar oil is used in production lines for dairy products, which we consume daily. Water supply systems in our houses are also lubricated, while transformers which supply us with electric power must be cooled. The examples are infinite, but there is a common problem: lifetime of a certain liquid, which ceases to be of value to us when that time expires. Thing is, one does not just dispose of used liquid as if it were regular household waste. If one tries, the costs may be impressive: a fine imposed by local authorities is very likely, and the damage to the environment will burden one’s consciousness. However, there is always a solution. In terms of electric insulation liquids, there are two options. One option is to submit the spent liquid for disposal. 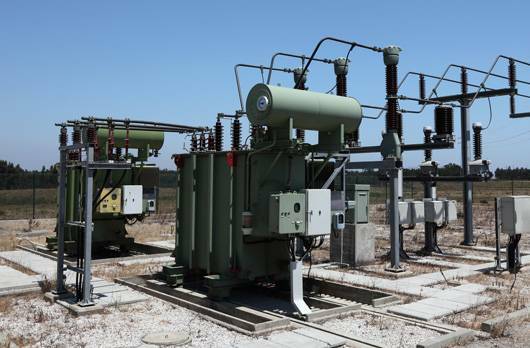 This involves shutting down the electric system, be it a transformer, a high voltage switch, an oil filled cable etc, extract the dielectric oil from it, transport it to a specialist company or have the company pick it up. And yes, pay for the service. After that, fresh insulation fluid must be purchased and delivered to the electric equipment prior to restarting it. Problem solved. Everything works, no harm done to the environment, no problems with troubled consciousness. The only quirk is that the budget of your company took several hits: shut down of equipment, transportation of used oil and disposal of it. This might be acceptable, but there is another way. Read on. The spent electric insulation liquids can be reused. Probably not a big secret, you may have heard about things like reclamation. Regarding dielectric oils, the regeneration is a collection of several processes, which remove excessive moisture, gas and particulate matter, which accumulate in the oil during its function in oil filled electric equipment. Treatment of this oil allows it to restore the electric insulation and physical properties and becomes useable again. The answer to the first question of this article is becoming clear now: restoration of dielectric fluids is of benefit to those who deal with them directly. I.e. if you are reading this article, you must be an engineer in an electric company, or an engineer in a company which services high voltage equipment, or a director of such company. As a matter of exception, you also might be a person with deep regard for environmental issues. The answers to the question of why electric insulation liquids should be regenerated are all related to economics. Some numbers: the cost of one ton of new mineral transformer oil varies within 1200 – 1400 dollars. The cost of regeneration of the same ton of used oil costs 30 – 40 dollars. The difference, as you may see, is more than simply substantial. The question is how to reach these significant savings not on paper but in reality. Let’s not forget certain things you will need, like actual used oil. Another important thing is to have special equipment for regeneration of insulation liquids. If you are in the business of servicing high voltage equipment, you work with dielectric liquids on a regular basis. You are also probably familiar with the latter, especially if you look at oil regeneration equipment made by GlobeCore.